near Sunol. While it took crews till 1:20 PM to completely clear the trucks and debris so that all lanes could be reopened, thankfully no one was injured in the incident. Squash (70,000 tons spilled in Michigan in late October per The Elkhart Truth). Of course, there are also many cases of load spills involving more common products such as trash or lumber. According to the Handbook, California truck drivers must inspect loads for balance, weight limits, and to ensure loads are properly secured. On the federal side, the Federal Motor Carrier Safety Administration (“FMCSA”) has created additional rules governing the loading and securing of cargo in commercial vehicles that operate in interstate commerce. The Cargo Securement Rules include both general rules and specific provisions applicable to certain types of cargo (e.g., logs, concrete pipes, heavy machinery). At the most general level, the FMCSA requires that cargo is firmly immobilized or secured with sufficiently strong tiedowns or other equipment that supports, protects, and limits the movement of the cargo. More specific and detailed rules address the strength and efficacy of equipment for securing cargo loads. Additional rules apply to trucks carrying hazardous materials such as flammable gases and radioactive materials. Load spills can be the cause of an accident or the result. 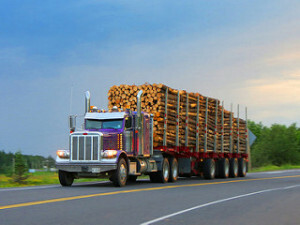 For example, an unbalanced load may cause a truck to tip-over or jackknife. In other cases, the cargo spill follows an accident (as it sounds like occurred in Monday’s I-680 accident). With those cases, the failure to properly secure the load may still be highly relevant as it may be a secondary cause that increased the severity of the accident. An unbalanced load can even turn a fender-bender into a fatal incident. While some cargo spill stories are amusing given the variety of goods involved, cargo spill accidents can be quite serious and can cause catastrophic injuries or even death. In these cases, the injured and/or grieving deserve the very best in legal representation. Experienced San Francisco truck accident lawyer Gregory Brod is committed to exploring all avenues of recovery for load spill victims. He considers a range of legal theories and evaluates all potential defendants including drivers, trucking companies, and even top-ranking executives. Attorney Brod also works closely with expert witnesses whose opinions are often essential to proving causation and fault in load spill accidents. With offices of our truck accident law firm in Santa Rosa, San Francisco, and Oakland, The Brod Law Firm serves all of Northern California. Call to arrange a no-cost consultation.